Thank you for choosing to visit Harris-Stowe State University! The visit will begin with an admissions presentation or meeting, followed by a 60-minute walking tour of the campus led by an HSSU Student Ambassador and/or an Admissions team member. We recommend comfortable walking shoes, coat (during cooler months) and/or umbrella. Please note that campus tours are subject to cancellation due to inclement weather. If you are unable to make this tour, we ask that you provide us 24-hour advance notice by replying to your confirmation email or contacting our office at (314) 340-3300. All individuals and groups are asked to report to the Office of Admissions located in Room 009 of the Henry Givens Administration Building, located at 3026 Laclede Avenue, St. Louis, MO 63103. Parking is located in designated spots in the lot behind the Williams Clay Early Childhood Education Center (silver building with glass front) on Compton Ave. Buses may park in this lot as well. For directions to our campus, check out our Campus Map! By walking through the faculty and staff lot adjacent to the Security Booth, you will be able to enter on the ground floor through a side door. The Office of Admissions is the third door on your left. Please contact our office for any questions regarding your visit. 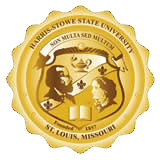 Note: Harris-Stowe State University is committed to the safety and security of our students, faculty, staff and guests. In compliance with the Jeanne Clery Disclosure of Campus Security Policy and Campus Crime Statistics Act (Clery Act), the 2018 Annual Security Report, containing campus statistics for specific crimes, as well as campus safety and secutiy-related policty information specific to each campus, and fire statistics for on-campus student housing facilities for the years 2015-2017, can be found Here.